CCTV Camera Pros proudly announces the availability of the new VM-16RT real-time video mux for CCTV camera systems. 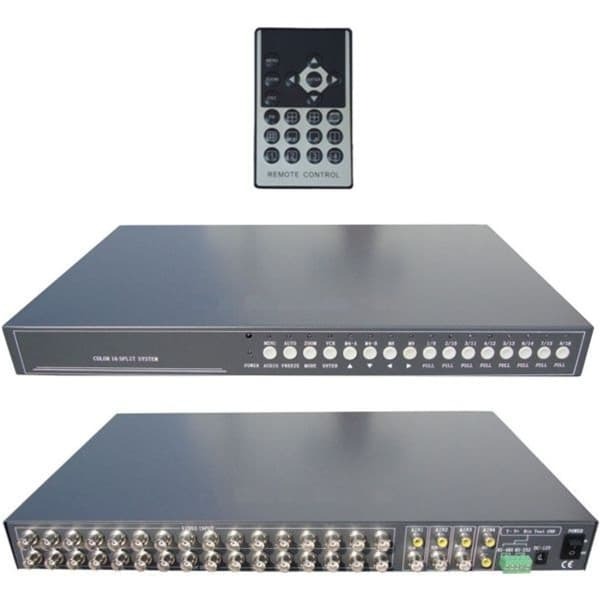 The VM-16RT CCTV multiplexer can be used as a stand-alone video processor to control various types of video views directly to a monitor and/or in conjunction with a VCR surveillance recorder. The VM-16RT has two BNC video outputs. It is easy to switch video screen modes using the infrared wireless remote control that is included. The VM-16RT multiplexer supports all of the most popular video display modes: 16 camera/channel grid, 9 camera/channel grid, 8 camera/channel grid, quad screen (4 camera view), split screen (dual camera view), single screen view (one camera), sequence rotation (where the screen scrolls between the cameras configured for a set amount of time that is also configurable), picture in picture mode (main channel and PIP channel is easily selected using the remote control), and dual PIP. The VM-16RT included the power supply for the mux and the wireless remote control (with battery). 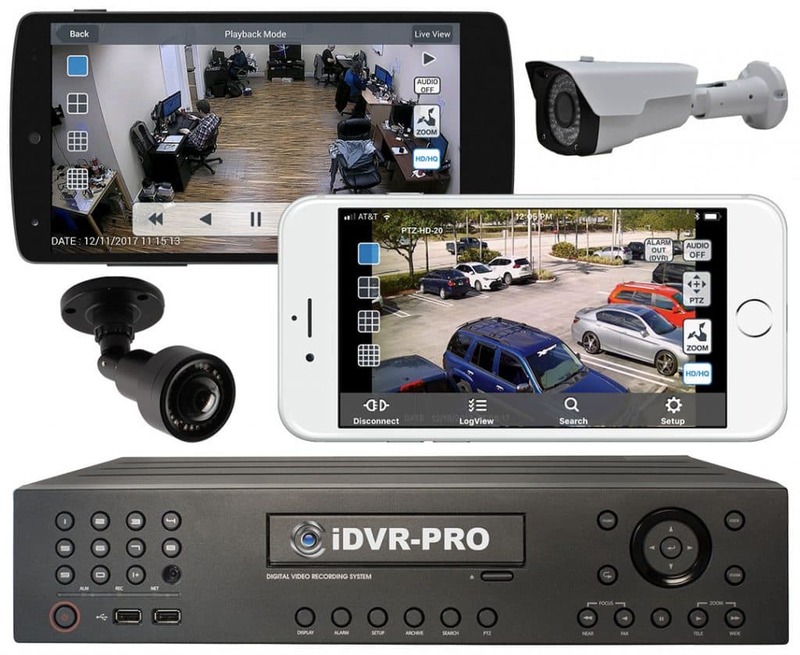 The VM-16RT is currently available from CCTV Camera Pros (at the time this article was written) for $499.99. Please click for additional information or to buy online: 16 Channel CCTV Multiplexer. The following video demonstrates the capability of the VM-16RT video mux using a 42″ LCD monitor and four surveillance cameras. CCTV Camera Pros is a supplier of complete video surveillance systems and individual security components for home, business and government. CCTV Camera Pros is a veteran owned business founded by a United States Marine and is located in Boynton Beach, Florida in Palm Beach County. CCTV Camera Pros can assist in the design of surveillance systems for any size application. 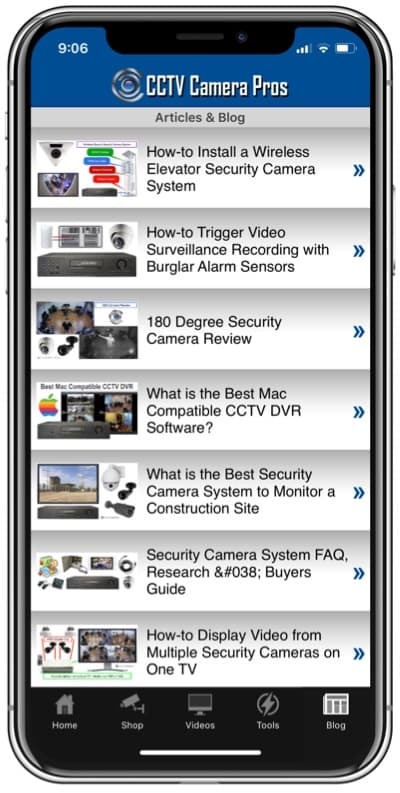 Please visit CCTV Camera Pros website to learn more about us and the products we supply: www.cctvcamerapros.com. This article was originally posted on CCTV Camera Pros blog. Click here to view the original article “Video Mux Provides 16 Channel CCTV Multiplexer“.